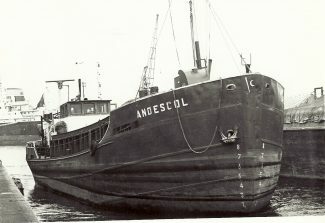 The coaster ANDESCOL in Tilbury. I do not have any more details RWJ. 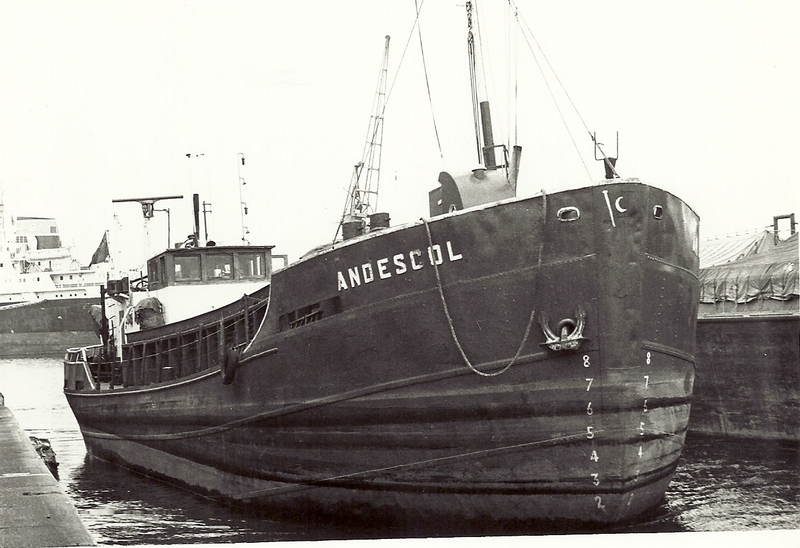 The small motor coaster ANDESCOL (191 tons gross, 254 tons deadweight) was built at Hoogezand, Holland, in 1961 for London & Rochester Trading Co Ltd (Crescent Shipping). It stayed with that company until November 1982, when it was sold to Alan J Pratt, of Gillingham. In 1988 it was sold to a partnership named Adams Brothers, and its port of registry was changed from Colchester to Kingstown, St Vincent. It was still apparently still trading on the eastern UK coast up to 1992, when it “dropped off the radar”.